Edward Robert Smyth v Charity Commission for England & Wales. Revelation Foundation v Charity Commission for England & Wales. Vanessa Hill v Commission for England & Wales. Mr Yusuf Kennan Oguz v Charity Commission for England & Wales. Graham Hipkiss v Charity Commission for England & Wales. Hannah Akuezuola Gilberts v Charity Commission for England & Wales. Linda Ferguson v Charity Commission for England & Wales. Joseph Ackerman v Charity Commission for England & Wales. Tobias Yeats v Charity Commission for England & Wales. Zainul Aqtab Siddiqi v Charity Commission for England & Wales. Afifa Kiran v Charity Commission for England & Wales. Anthony John Hall v Charity Commission for England & Wales. Dr Mo Johnston v Charity Commission for England & Wales. Leeds Cat Rescue v Charity Commission for England & Wales. Support The Heroes v Charity Commission for England & Wales. Keith Colman v Charity Commission for England & Wales. Jacob Plitnick v Charity Commission for England & Wales. Cambridge Islamic College v Charity Commission for England & Wales. 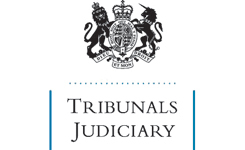 The 1Click Charitable Trust v The Charity Commission of England & Wales. Len Wilkins on behalf of Sherbourne Village Hall Committee v Charity Commission for England & Wales. Catholic Care (Diocese of Leeds) v The Charity Commission for England & Wales. This appeal is struck out pursuant to Rule 8(2) of The Tribunal Procedure (First–tier Tribunal) (General Regulatory Chamber) Rules 2009.